110. ANTARCTIC. Issued by Côte d'Or chocolate. (1959. Relates to the 1959 Belgian Antarctic Expedition). 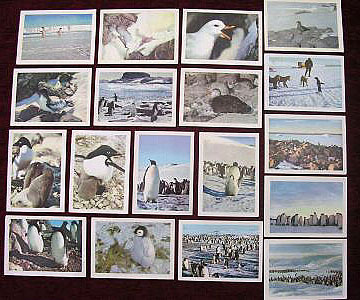 The set includes a total of 164 cards. Size: ca. 3" x 2".